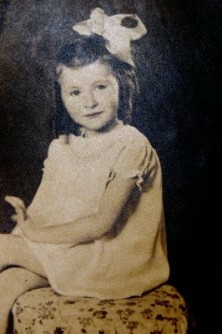 We were all going through some old photos when we came across this photo of my mom as a young girl. When were all looking through old photo albums. 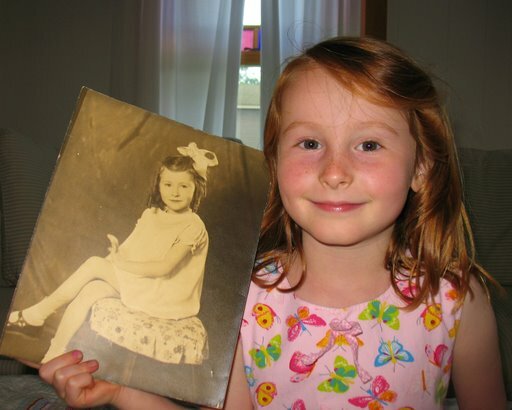 When my neice was looking at the photo we noticed how much she looked like my mom. We just had to pose her just like my mom, although she wasn’t completely cooperative. But you get the idea anyway. I think it is fabulous to see the similarities and it is really wonderful for my mother to be able to see herself in the next generation. All the more so since non of her own children look anything like her. My girls look nothing like me so I guess I too will have to wait for grandchildren!